If you’ve heard of Yasmin Nair, you have an opinion about her. Her work doesn’t evoke lukewarm reactions in people. Depending on who you ask, she’s a leader, an icon, a teacher, a radical, a contrarian, a troll or all of the above. I don’t always agree with Nair, but I like the way she pushes our cultural buttons, forcing me to consider and reconsider my own politics. Nair challenges the status quo and the identities we take for granted, asking the kinds of questions that many won’t. She keeps us accountable. I first met her while filming a documentary at Center on Halsted last year. Nair was one of the panelists at Queer Is Community, an event I helped organize as a town hall meeting to discuss racism and transphobia in the Lakeview community. I asked her about her perspectives on these subjects, particularly in the light of the previous summer’s Take Back Boystown events. She mindfully informed me that it was part of a larger issue: the historical way that our city subjugates those at the margins. For Nair, it wasn’t just a Boystown problem. It was a Chicago problem. While we spoke, we were routinely interrupted by janitors and maintenance men around us going through the daily grind of keeping the Center running, a job as thankless as it is noisy. At first we tried to stop for each disturbance, but as the noise became the norm, Nair insisted on continuing to speak louder than the sound. No one was going to silence her. Nair says “not being apologetic” is important to her perspective, as a queer person and a woman of color. Nair has led an eclectic life, moving from her home in Calcutta (now Kolkata) to Kathmandu, Bombay (now Mumbai) and then back to Calcutta before moving to the U.S. She says living in Kathmandu as a child was especially formative. As someone living outside the boundaries of what society says is acceptable, the place will forever have a symbolic place in her subconscious. Today, Nair lives with her cat, Toby, on the border of Uptown and Andersonville in an apartment that’s a testament to her diverse past. She is an avid collector of Hello Kitty paraphernalia and recalls going to McDonalds to purchase every single one of their Happy Meal miniatures, as they were a recent toy tie-in. Upon entering her apartment, I was as struck by the numerous posters of Marilyn Monroe as her endless library, and that Nair was as able and willing to talk to me about Lindsay Lohan and Britney Spears as she was Foucault. This is not a woman you can pin down. This is precisely what makes her work so interesting in a time of the politics of the expected, the majoritarian nature of us vs. them. Last year, Nair gained attention as an avid critic of the community’s lynching of Chick-fil-a, as something of a symbolic political sacrifice, and she’s long stood as a critic of the politics of “gay marriage.” (She shuns the term “marriage equality.”) If you visit the website of Against Equality, the collective she founded in 2009 with Ryan Conrad, you can find a rabbit hole of articles calling out marriage for its racism, classism and neoliberalism. Although Nair’s work has garnered more attention recently, she’s been at this game for some time. It was then that Nair realized that queer theory wasn’t going to offer the economic analysis she needed. “We often believe that queerness resists neoliberalism, and it really doesn’t,” Nair states. 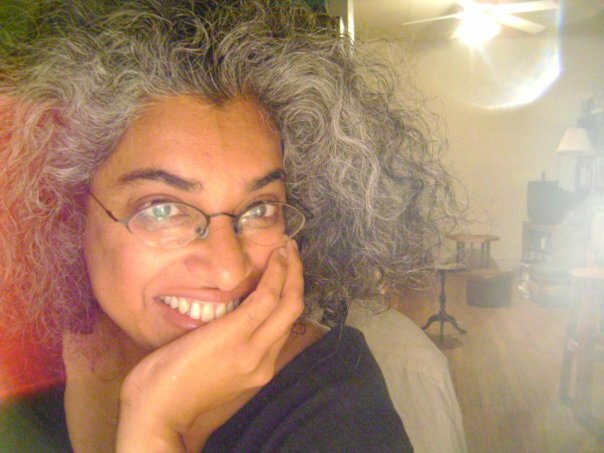 To explore that, Nair needed to get away from her queer theory roots and start asking questions about the role of sexuality and identity within capitalism. This was a long process. Nair states that she’s been tired of her liberal, “lefty” friends “trying to push this around as if it were a progressive cause. Gay marriage is conservative. Claim it. Acknowledge that.” She needed not only to speak truth to power but to those around her. According to Conrad and Nair, the idea “funding marriage first” will fix all of our problems is far from the case. Earlier this year, the Huffington Post covered a growing trend among heterosexual couples to be covered by their employers under “domestic partner benefits.” A personal trainer in Chicago was even able to get on his roommate’s insurance plan after filling out a simple company form. According to HuffPost writer Katherine Bindley, these people would lose their coverage if marriage passes. The only way to retain their insured status is marriage, which isn’t an option for heterosexual folks. This also goes for hospital benefits. Last year, Obama passed legislation that expanded hospital visitation rights, allowing friends and non-relatives to visit their loved ones in the hospital. According to Nair, many proponents of marriage equality opposed or disparaged this legislation, saying it diminished the benefits of marriage. As an activist, Yasmin Nair hopes that marriage will come quickly so the community can move on. I asked Nair why her criticism of marriage pushes so many buttons. While knitting a scarf on her couch, Nair laughed. As someone who supports marriage equality, I don’t hate Nair. I think of her as an important component of an evolving conversation, one that needs to include critical and incendiary voices like hers. I don&apos;t know what our community would be without her. After finishing my tea, I left her apartment feeling challenged and a little rattled, forced to reconsider my deeply entrenched beliefs. If marriage passes this week in Illinois, I will celebrate, but also stop to consider what my celebration means. At a time when we take our political discourse for granted, Nair makes us think about our politics. What do we talk about when we talk about marriage? To support Nair&apos;s work, visit Against Equality and Gender Just&apos;s website to find out how you can get more involved, or donate to her website. Work as important as Nair&apos;s doesn&apos;t come for free. Nico Lang writes about LGBTQ issues in Chicago. You can follow Nico on Twitter @Nico_Lang or Facebook.